In hopes of contributing a drop in the bucket to an endless amount of worthy causes, Ira and Sylvia Seret, along with a group of their close friends, have started The Jindhag Foundation—a non-profit organization that aims to support and preserve the cultural diversity of traditional and indigenous peoples around the world. We feel that it is our duty to give back to the cultures with whom we work. The Jindhag Foundation is a registered 501(c)(3) non-profit and is run entirely by volunteers. Without any paid employees or administrative overhead, all of the resources, supplies, and infrastructure are donated by its members; and thus all donations are forwarded in full toward the intended use. 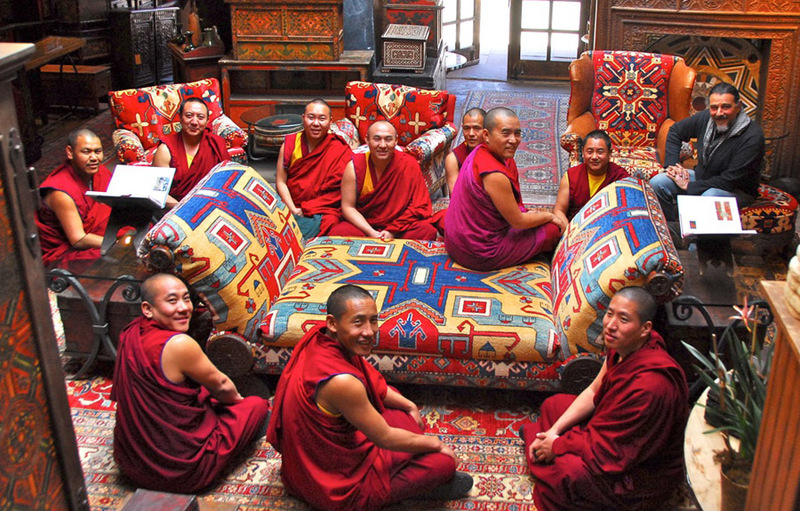 The Jindhag tradition comes from the history of Tibetan monasteries that were once provided for by local benefactors. The monks regarded these local families who gave financial support in high esteem and in return would provide spiritual support. In its two initial projects the Jindhag foundation focused on helping two cultures that are struggling to survive on the roof of the world; The Tibetan and Afghan people. Both preserve unique, ancient traditions that have survived in isolation in the remote Himalyan and Hindu Kush Mountains. These traditions that have survived for millennia are now threatened as geopolitical pressures of displacement and decades of war have torn at the social and cultural fabric woven by these people over many centuries. Prior to the Chinese invasion of 1959, Tibet had a long-established system of balance between its temporal and spiritual affairs. Among the little-known traditions that played a major role in maintaining this balance were the Jindhags – well-endowed families who provided financial support to monasteries. In turn, the monasteries regarded the Jindhags with special prominence and provided them spiritual support for their material endeavors and well-being – a symbiotic relationship that benefited all. Now, support from new Jindhags is needed for this spiritual culture of Tibetan Buddhism to survive. The Jindhag Foundation aims to revive this ancient tradition in the modern world. 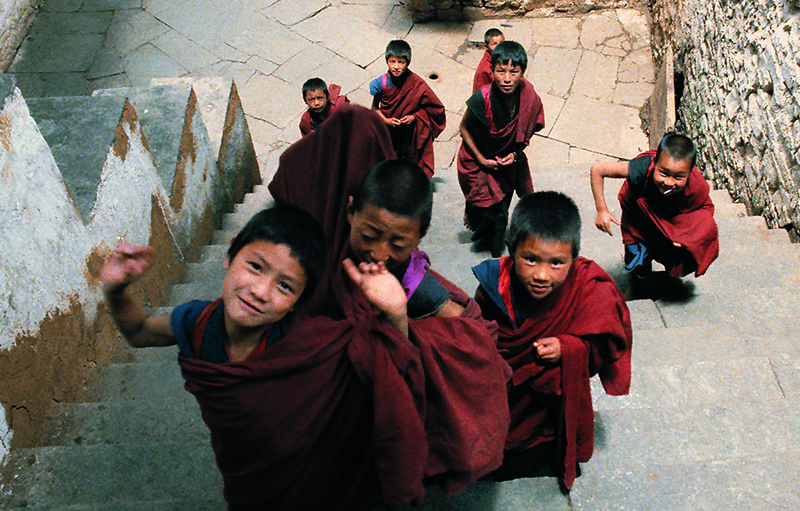 The foundation’s primary focus is matching “Jindhags” with some of the most threatened smaller monasteries and nunneries to enable them to fulfill their mission of preserving religious diversity for the next generation. 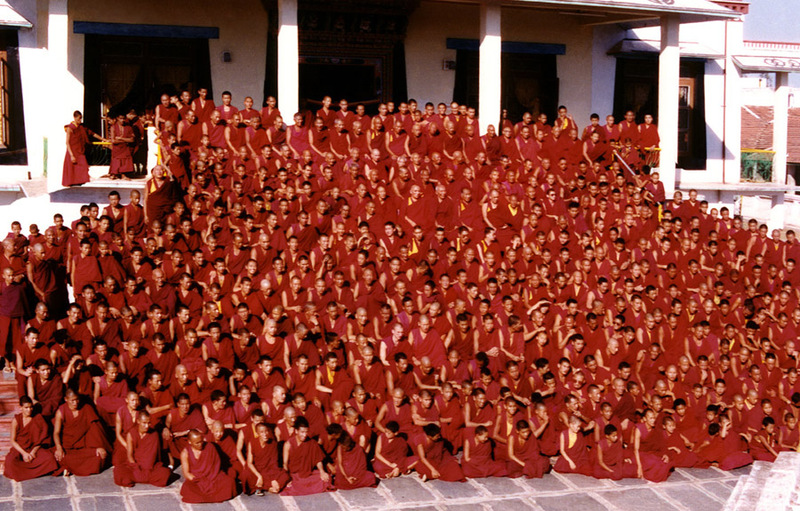 We have been providing ongoing support to multiple monasteries for basic needs—food, water, shelter, basic first aid—since the foundation started. 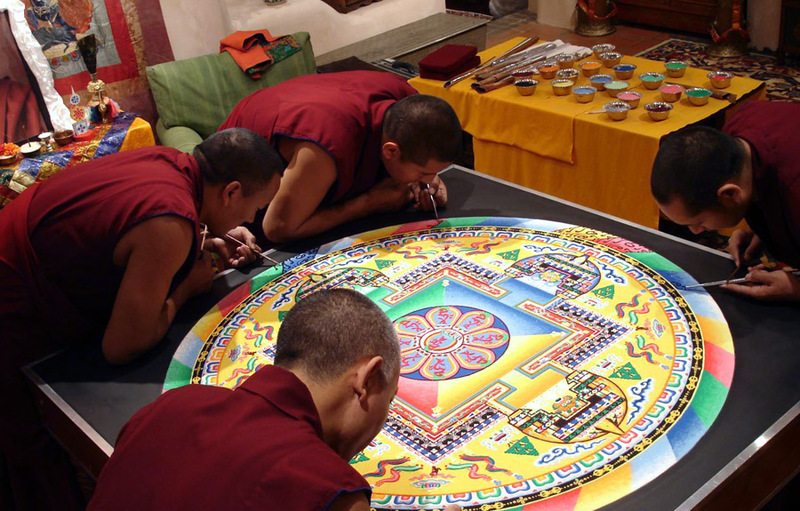 In addition to this, the Jindhag Foundation also hosts monks from the Drepung Loseling Monastery on their yearly tour across the United States. 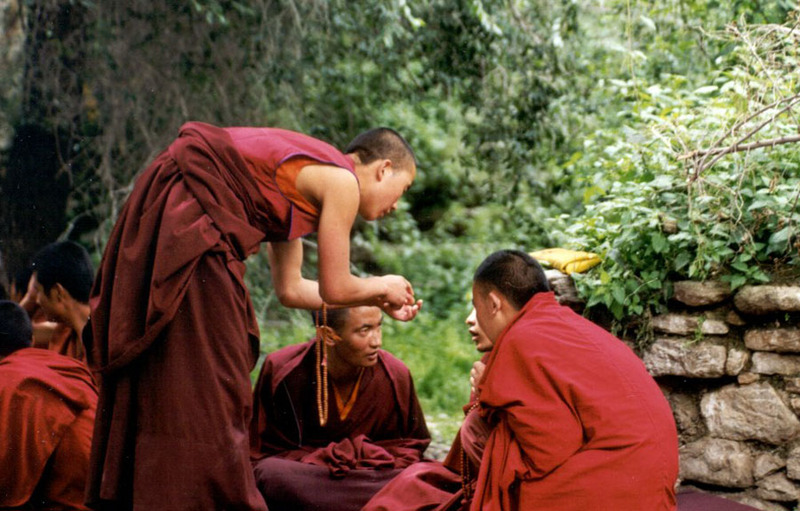 The foundation is also involved in supporting the education of young and aspiring monks by making contributions to places such as the Institute for Buddhist Dialectics in India. ISTALIF, A BEAUTIFUL VILLAGE 45 minutes north of Kabul, Afghanistan was historically a popular tourist and picnic destination. Famous for its mineral springs, mountain views, rivers, 99 varieties of grapes, as well as its colorful marketplace, Istalif was especially known for the renowned turquoise and green pottery that had been produced there for centuries. 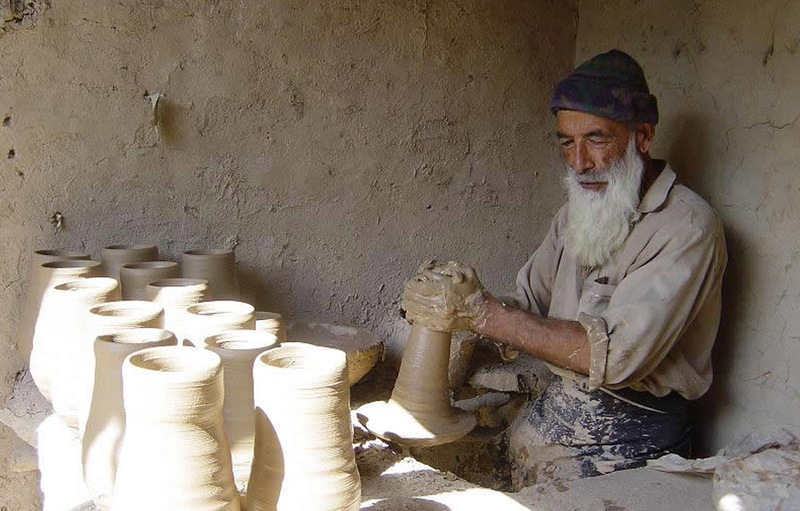 In 2003 we expanded our efforts to include reviving this beautiful, but war-torn, village in Afghanistan that has a rich history in creating unique pottery. Istalif was completely destroyed by the Taliban in the late 90s. 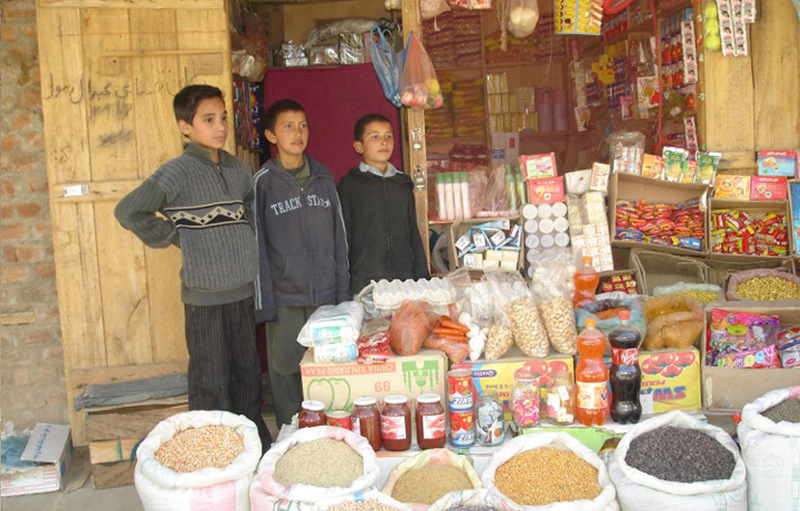 With their shops and homes destroyed, the villagers fled as refugees to Kabul and Pakistan where they lived in often poor conditions. Barely 3% of the people remained behind. Homes were in ruins, and there were no shops, no vegetation, and no sources of income. By 2003, still no serious NGO (non-governmental organization) projects or funds had been allocated to Istalif, because funds were going to areas of greater population. Ira and Sylvia Seret along with Abdul Ahmad Istalifi, a friend of 40 years who had remained in Kabul during the entire war years, and one of his sons Ali, who was living in London, began brainstorming a plan to revive the heart of Istalif. The main marketplace, once the center of the local economy right near the main mosque, was a street of rubble and ruin. The Jindhag Foundation, funded the rebuilding of the 120 shops with the intention of reviving the heartbeat of the local economy. 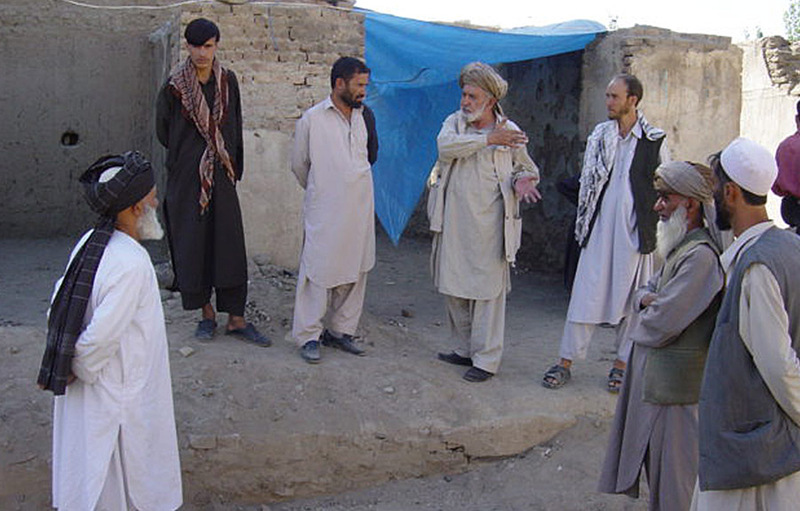 After a year of planning, Abdul and Ali came to agreements with the village elders and owners of the former shops. However, estimates for demolition of the old walls and removal of rubble nearly doubled the budget. Abdul and Ali made it clear that with the villagers help with these tasks, funds could stretch to rebuild the entire 120 shops. Things are looking great in Istalif. The work on the shops is active and everyone is working so hard to beat the winter. There is such an energy here and it is so touching that this project has brought so much hope and happiness to the people of Istalif who have suffered so much hardship. Every day begins with prayers, followed by breakfast, grapes with bread and green tea followed by work. 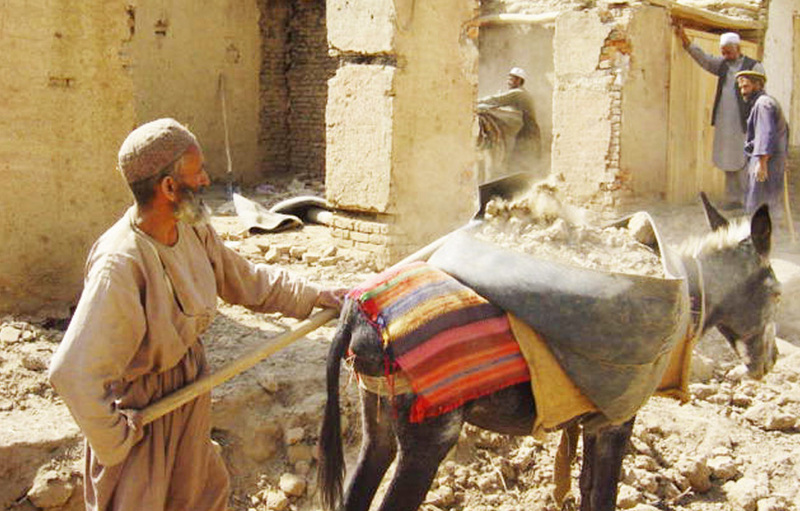 You see young guys to old men and even some very young boys cleaning rubble and putting them on the backs of donkeys as if you are watching a place that has been like this for thousands of years. By the end of this week about 20 shops will be finished and by next week another twenty. 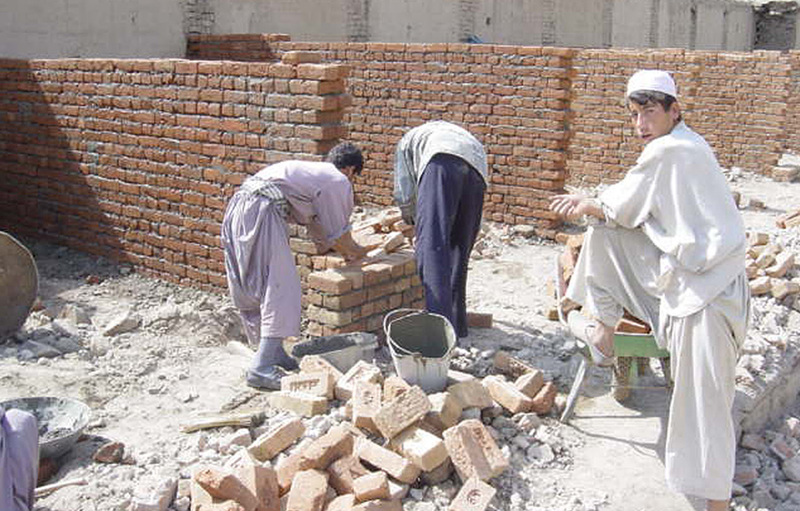 We are giving the villagers the old bricks to use for rebuilding their own houses. I see a confidence building in the people since the project has started. Within six months, by the following spring, the shops were up and running and thousands of villagers returned to rebuild and resettle in their homes. When you have reconstruction in the	middle of the village market in front of everyone’s eyes, it has a huge psychological impact on the people. The rebuilding of the local marketplace gave many families	the encouragement they needed to return. 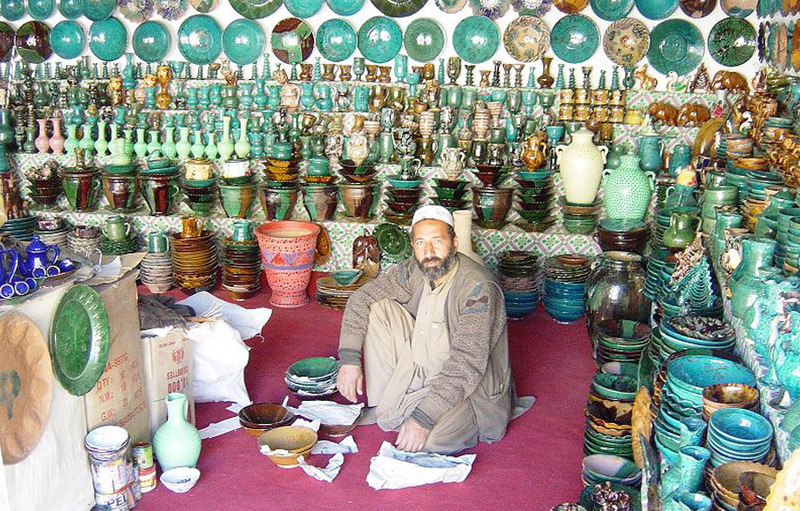 Families of potters went back to their art of shaping beautiful pottery that is fired in huge wood burning kilns. Tourists also began returning by the hundreds on weekends to take in the scenery and shop for pottery. 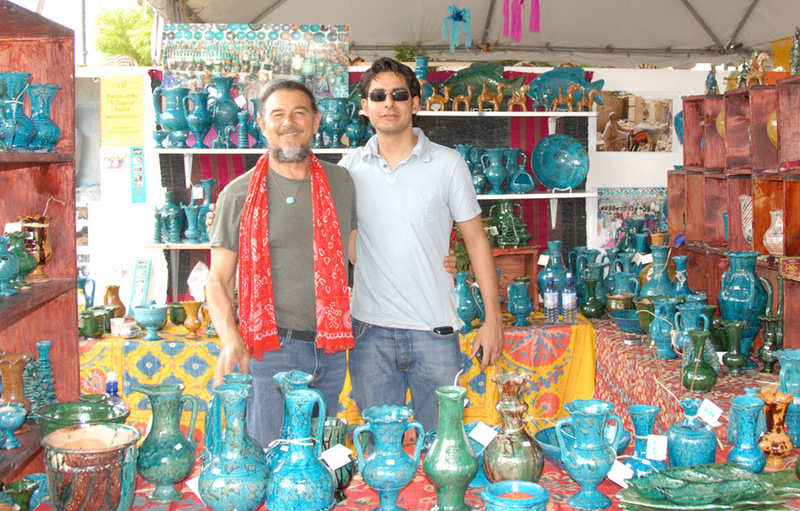 In 2007, the Jindhag Foundation sponsored a booth at the Santa Fe International Folk Art Market that brought Istalif pottery to the U.S. for the first time. In seeking to restore a village that had a great cultural and artistic tradition, this project identified a strength — the beautiful pottery tradition that dates back several thousand years — and focused on helping make it possible for people to once again capitalize on that. Nurturing traditional art not only helps economically but also helps people reclaim their cultural identity, a vital lifeline in a time of war and transition to modernity. While Istalif has come far in the last few years, the Jindhag Foundation continues to identify basic needs including a clinic and doctor as well as things as small as providing packing materials to the potters so that their precious wares are protected in shipping. While the success of the last few years has been step in the right direction, there remains a great deal of work to be done not only in Istalif, but in numerous still devastated villages.